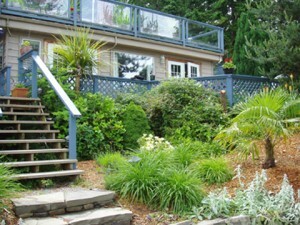 Arbutus Point Oceanfront Bed and Breakfast offers private oceanfront accommodation in a tranquil setting just steps from the ocean. We are conveniently located only 5 minutes away from Ganges and the Long Harbour Ferry Terminal. We offer private entrances, outdoor hottub overlooking the ocean, complimentary double kayak and bikes, sun decks and a full hot and delicious breakfast delivered to your suite at a time of your choosing! Our breakfasts include fresh organic local ingredients when available and we happily cater to special diets on request. You will enjoy an ocean view from your suite and all the conveniences of home. 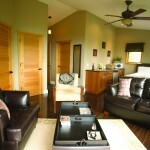 Our rooms include private entrances, king or queen beds, jacuzzi style tub and shower, TV/DVD/Satellite, movies and books. 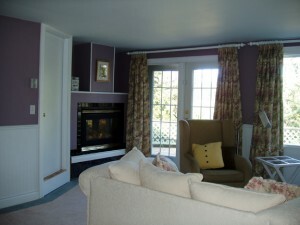 Our Sunrise Suite also has a fireplace, kitchenette and bar-b-que. We even offer one pet-friendly suite. Come and enjoy our seaside retreat and rejuvenate your soul!